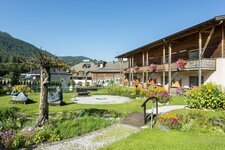 The green valley extends from the Chiusa di Rio Pusteria to Lienz in Tirolo Orientale. Not only is the valley famous for the Tre Cime di Lavaredo. 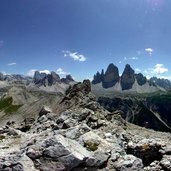 See panorama Fantastic view on Valle della Rienza and the north face of Tre Cime di Lavaredo. The Plan de Corones is the leisure area of the Val Pusteria. Especially in winter but more and more also in summer. We accompany Michaela, Macke and Hans, who enjoy the Plan de Corones with their mountain bikes. With professional lifts, demanding cycle tracks and gorgeous downhill trails. The idyllic village of S. Vigilio di Marebbe is an ideal spot of land if you love to enjoy nature and would like to spend active holidays, as this area is perfect for mountaineering and hiking. The municipal territory is located in the Val Badia valley and belongs to the Plan de Corones holiday area. While gentle Alpine meadows, forests and sun-drenched high plateaus characterise the lower Val Pusteria (Bassa Pusteria), the Alta Pusteria valley mainly attracts attention by the rough pinnacles of the Tre Cime di Lavaredo. Photographers, hikers, climbers, excursionists and those who love nature, all of them likewise love this place. Sesto Dolomites, Fanes-Sennes-Braies, Vedrette di Ries, Puez-Odle.. nature parks in Val Pusteria provide for the protection of nature in the valley. One of the jewels included in these parks is the so-called pearl of the Dolomites, the Lago di Braies, as well as Lake Anterselva, ideal excursion destinations for the whole family, especially in high summer. 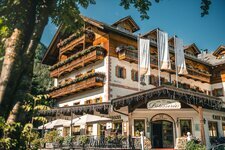 Equally varied is the offer in winter: skiing on Plan de Corones, tobogganing on Croda Rossa, a ski tour in the Braies Dolomites or snwoman building on Prato Piazza, there is always something to do in this fabulous valley rich in attractions. 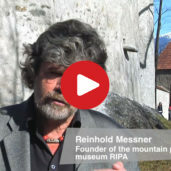 For further details on the Val Pusteria visit www.pustertal.org. Lake Anterselva is the jewel of the municipality in the Vedrette di Ries nature park.